at the indicated time and to the address you have specified. Delivery is in the same day. The order of the bouquet must be done at least 1 hour before it will be received. The order of the author's composition in the box must be done at least 2 hours before it will be received. Delivery is free when ordering is from 1200 UAH. The cost of delivery in Kiev is 110 UAH. Payment is available both in cash or by credit card. What on your opinion would be remembered most on an important day for you or someone else? The most bright and precious memories are the details that made this day or event more colorful and joyful for you, and those amazing emotions you felt at the same time. 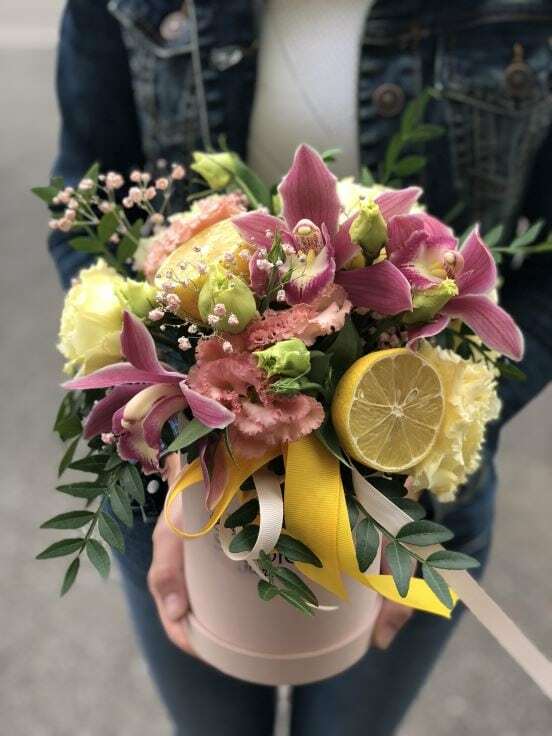 The best and sometimes even the only way to create the “right” mood is to buy flowers in an online store with delivery. Such touching and living gift is able to give to your addressee brightest impressions and the most sincere emotions. Believe me, don’t look for something that could replace the live flowers, because nothing can replace them, it is impossible. 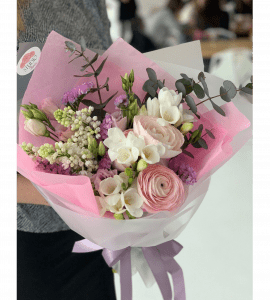 It is unlikely that something else, even a very expensive gift, is able to evoke such strong and sincere feelings as bouquet of flowers which has just been collected. 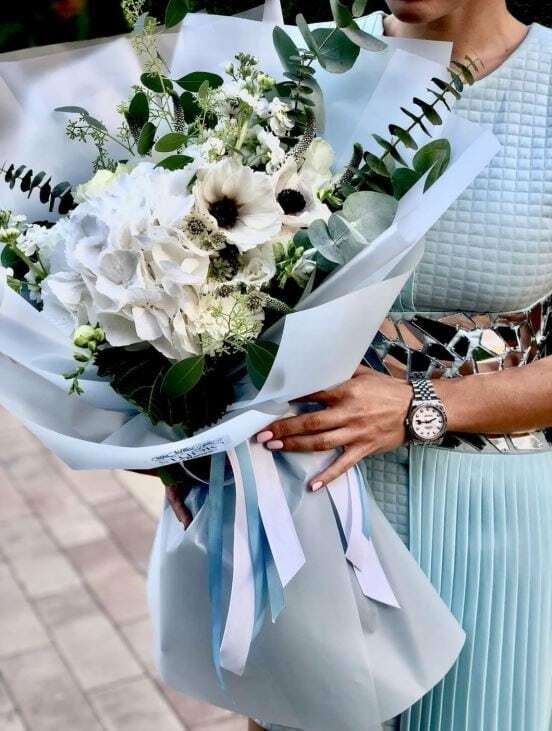 Because it is not just a gift, it is mood which the guest of honor will have for a long time and later this mood will become an amazing and warm memory. You must agree that it means a lot and we can’t buy or replace it. 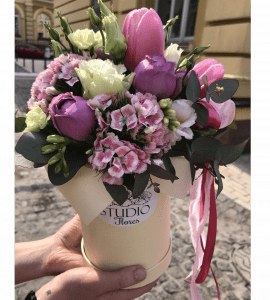 Our online flower store in Kiev does everything possible to make your celebration successful, and the guest of honor could receive from you a bouquet exactly when you want it. 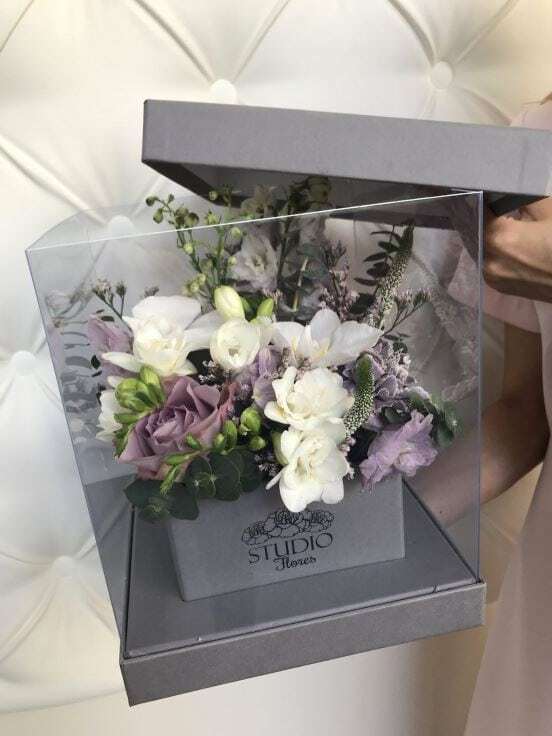 We deliver the flowers you choose to any address you specify, whether it is the place where your addressee lives, the office where he or she works, the cafe or the restaurant where the celebration happens. 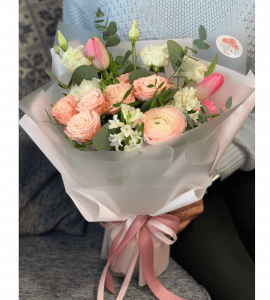 We send the live flowers chosen by you around the city by a professional and always attentive courier who will deliver your gift in the best possible way, and hand it to your addressee with all possible courtesy. 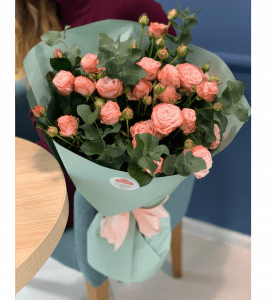 Our flower delivery service is a well-coordinated and developed to automatisity work of the experts which guarantees to you and your dear addressee a gift delivered in time and a great mood! 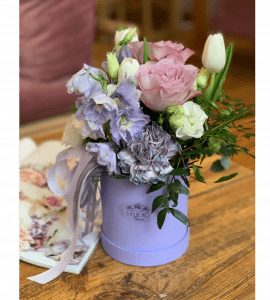 Ordering flowers with delivery in our store is fast and easy! The order in our store and the delivery in Kiev are very simple and convenient. 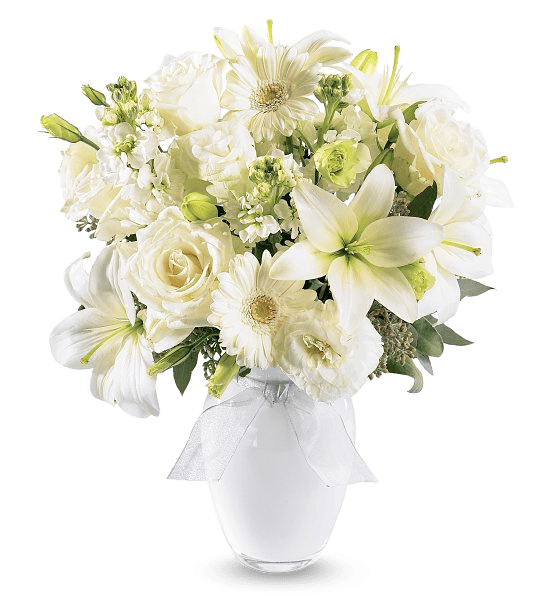 When you choose beautiful flowers for your loved one from our large catalog you will feel sincere pleasure. 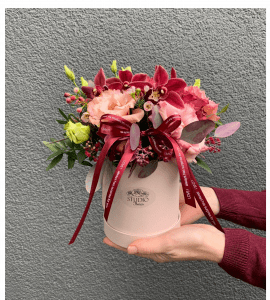 For your additional convenience, all available flowers are divided into several categories, so that it is easier for you to navigate when you are choosing a gift. 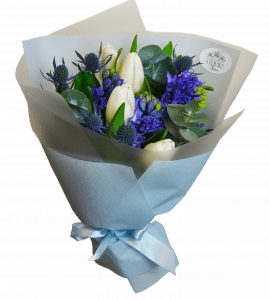 You always have the opportunity to order flowers delivery inexpensively on the day of the order, and any another day, if you wish. 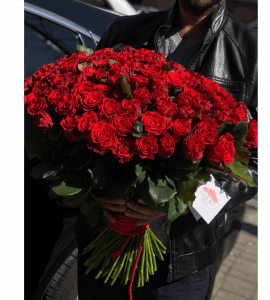 We proud that our express delivery of flowers is delivery for the minimum possible time, namely: we deliver flowers during one hour, author’s composition – during two hours. It’s very fast in a large city, and we are sure that your addressee and you will appreciate such speed! 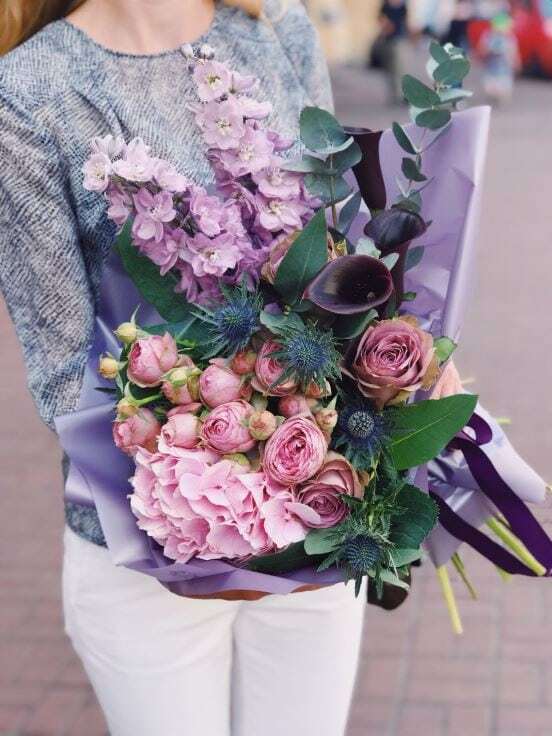 Where to buy the living flowers? 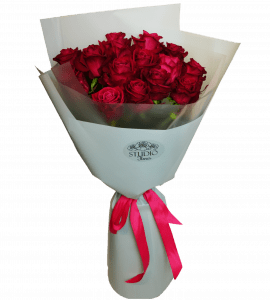 Online flower store STUDIO Flores is the most convenient place for ordering floristic gifts online. Our catalog contains only fresh plants and the most beautiful flowers you could ever imagine. 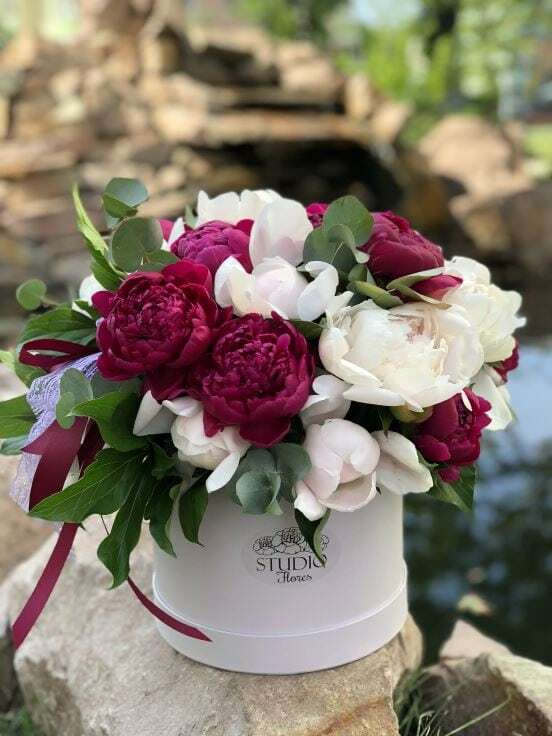 The skillful and caring hands of our favorite florists who convey in each composition a piece of their soul and their mood in order to make them even more beautiful. You can choose from the options listed in the catalog or leave your own desired option to order, which our florists will implement happily. For each customer who we appreciate and love, we have prepared many pleasant surprises, particulary: numerous bonuses and discounts, beneficial shares, the possibility of free delivery and gift to every order. We want every day to be filled with beauty and love, and we keep on working for it!